Which is right for you? A business loan or an equity investor? Whilst there is an ever-increasing variety of different methods to finance a business, two of the main choices still remain as being a business loan or an equity investor. A business loan is where someone outside your business lends you money that at some stage you will need to repay, whereas an equity investor is someone who puts money into the business in return for taking ownership of part of the business and influencing its future development. But what are the pros and cons of each - and how do you choose between them? In this article we take a look at the main differences to help you make your all-important decision! If you fail to make repayments on the loan, your business’s assets may be at risk. Bringing an investor on board can take a long time so is not ideal if you need money for your business quickly. So, in light of the above, which way to jump?! Much depends on your business priorities and an overriding factor is that you need to be willing to share your business in order to make an equity investment work. If you are not willing to do this then a business loan is probably a better option to consider. A business loan is also a faster way of raising money. The circumstances that may sway you to go down the equity investor route are if you need a substantial amount of money and plan for your business to grow very large very quickly. In these cases then bringing someone else on board may well be the answer. Whatever your decision, make sure it is the right one for you personally and for your business at the stage it is now and to help it develop to how you envision it to be in future. 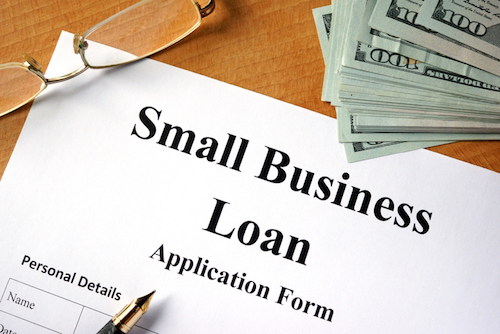 If you do decide on the business loan route, then take care to find a lender who will be fully supportive of your business aims and will also consider your loan application fairly. At Fair Business Loans we treat every case on its merit, including lending to businesses with patchy credit history or other factors that can make it difficult to obtain a business loan. Finding the right kind of business finance is critical, as it can have a deep and long lasting effect on the future of your business. For a no obligation discussion about the business loan options available from Fair Business Loans why not get in touch with us today to see what we might be able to offer?